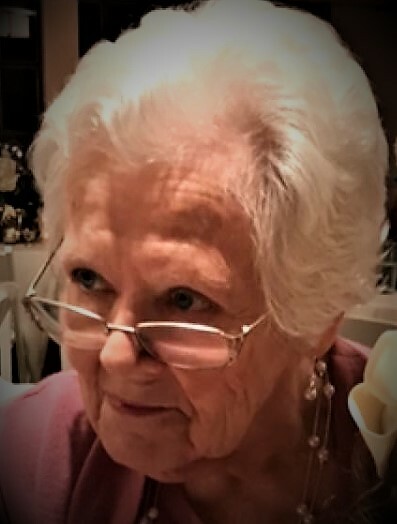 Mrs. Obereda S. Dunn, age 79, of Lanett, AL passed away on Tuesday, February 5th, 2019 at the Traylor Retirement Community in Roanoke, AL. She was born on February 23rd, 1939 in West Point, GA.
Mrs. Dunn is survived by her husband, John F. Dunn, Jr.; her three daughters, Marie (Greg) Ward, Alison (Chrystie) Dunn, and Jenny (Charlie) Eastridge; her six grandchildren, Kate Ward (Bryant) Bagley, Kim Ward, Leah Ward (Ben) Oliver, Alex Dunn, Tobie Dunn, and Justin Henson; her two great grandchildren, Sadie and James Bagley, her sister in law, Ann Spradlin. She was preceded in death by her parents, Thelma and W. L. “Hap” Spradlin; and two brothers, Jack Spradlin and Tommy Spradlin. Mrs. Dunn was of the Baptist faith. She was one of the founding mothers of Springwood School, where she was a very active parent. Her favorite Springwood function was the annual Bake Sale. She was an avid Atlanta Braves fan who enjoyed shopping and had a wonderful sense of humor. She loved to travel with her family to Disney World. Funeral services will be held on Saturday, February 9th, 2019 at 3:00 PM (EST) at the Johnson Brown-Service Funeral Home Chapel in Lanett, AL. The Reverend Linda Brogdon will officiate. Interment will follow in Marseilles Cemetery in West Point, GA. The family will receive friends Saturday afternoon from 2:00 PM (EST) until the service hour at the funeral home.